I received this email in my web mail inbox the other day – and I loved it, both as an individual recipient and consumer of email and as a marketer. There’s nothing new in it, and I won’t be able to convert my interest in action as I live in another country and can’t easily attend games. That said, for me it epitomises the power of personalisation. Both the subject line and the quoted phrase are redolent of sporting chants, as well as pandering to my ego. 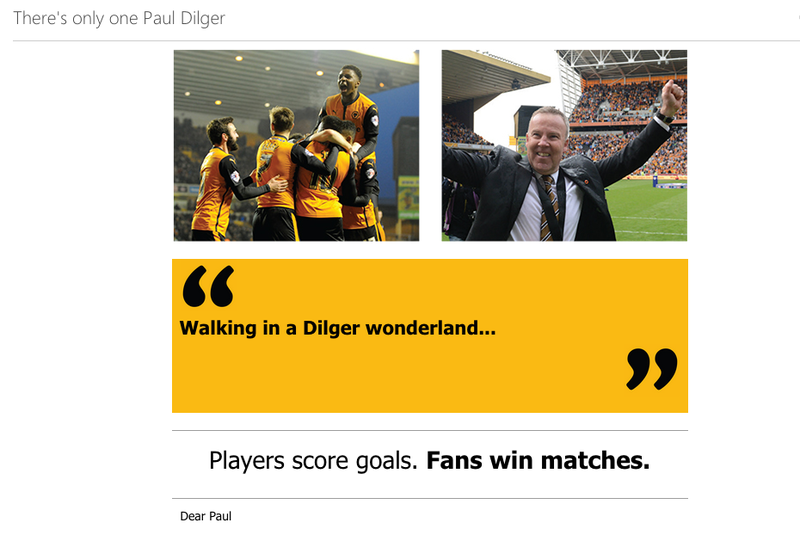 The email is visually appealing, the strapline appeals to me as a fan – and a customer – who can make the telling contribution to success, and the ask is a simple one: we’d like you as a season ticket holder. Superb stuff. Of course, I don’t know how the email turned out. I don’t know too much about the target demographic. I am willing to bet, however, that it performed particularly well against target.